With the news and controversy surrounding Tesla almost constant, its impact can be felt and traded in several other ways. 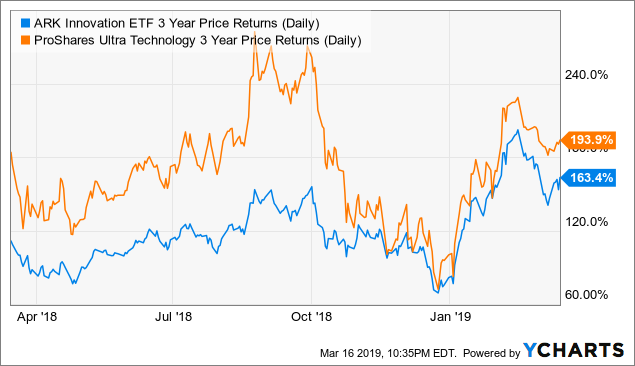 Tesla's takeover of Maxwell Technologies is not necessarily guaranteed to close, with shareholder opposition and potential restrictions on Tesla share issuance potentially impacting it. Noted Tesla bull Cathie Wood's ARK Investments ARK Innovation fund has Tesla as its largest holding. It can be hedged through a long in the ProShares Ultra Technology ETF. Tesla has mainstreamed acceptance of electric vehicles, regardless of Tesla's long-term performance. Cobalt 27 is a great play on one of the key inputs to EV battery development. I have written extensively on Tesla Inc. (TSLA) as have many other authors here on Seeking Alpha, most recently here, here, and here. It is fair to say I am skeptical of the company and its financials. I have been a big proponent of shorting the company via long dated Put options as a way to get access to the short upside with a capped downside; the risk is tied to the duration of the options. Tesla has had great success to date in frustrating Put option holders. Tesla's financial impact has stretched beyond its own individual circumstances. Here are a couple of derivative plays on Tesla's business. Maxwell develops and manufactures energy storage and power delivery solutions. Bram de Haas does a great breakdown of the pros and cons of the acquisition for Tesla. I see a very good risk reward to this deal not going through if played through put options. The stock was trading in the $3 per share range directly before Tesla's $4.75 per share takeover offer was announced, though shares had drifted up in the two weeks prior from roughly $2.30 per share. This makes me think that there was some noise coming out about this takeover. Should the deal fall through, it is very conceivable that shares boomerang back down to this level. The question is what would cause this deal to fall through. Some shareholders are already questioning the deal, going so far as to file a class action lawsuit to try to stop the takeover. I don't feel that this lawsuit has a great chance of success as the acquisition price is significantly above its most recent trading level. It is a small risk, but a risk nonetheless. Tesla announced Friday, March 15, 2019, that they were extending the deal closing terms as approximately 3.1m shares had been tendered to the deal out of roughly 46.3m shares up to that date. Although this could change, the extension is not a bullish sign for closing the deals. Tesla filed a Form S-4 Registration statement for this deal. Its approval is one of the pre-conditions of the deal closing. Tesla and its CEO Elon Musk have had a very public battle with the SEC, with the SEC filing a contempt motion against Musk, and Musk responding very defiantly. With this contentious relationship, there is a possibility that the SEC doesn't accept Tesla's all-share offering. The chaos with Tesla's operations may also make it difficult to close this acquisition. Although it doesn't require a burden on Tesla's cash and, in fact, may add Maxwell's cash to Tesla's books, Tesla's operations are very stressed currently, with the cancelling and re-opening of its retail stores, the recent $920m bond payment, the resignation of CFO Ahuja and the rapid introduction of the $35k Model 3 and Model Y all contributing to a very chaotic atmosphere. The Maxwell acquisition is yet another complication to its operations. If we add up all these risks, there is a chance that this deal doesn't go through; in that event, it would not be a surprise to see shares fall back to their previous level of around $3. With the deal slated to close in Q2 2019, a good way to play this would be to utilize $4 June 2019 Put options. These are currently trading in the $0.20 to $0.25 range; should the deal fall through and share return to the $3 range, this represents a 4x to 5x return on a position here. Even with less than 50% odds, the risk reward here is a potential way to play the chaos at Tesla while not necessarily depending on Tesla's performance itself. Companies within ARKK include those that rely on or benefit from the development of new products or services, technological improvements and advancements in scientific research relating to the areas of DNA technologies (''Genomic Revolution"), industrial innovation in energy, automation and manufacturing (''Industrial Innovation''), the increased use of shared technology, infrastructure and services (''Next Generation Internet'), and technologies that make financial services more efficient (''Fintech Innovation''). The net effect of this pair trade is effectively being short ARK's stock picking; based on how they have handled their Tesla position, this could be an effective position. As with most of my positions, I would utilize Put options for the ARKK short side position, likely going out long dated as much as possible. This may serve as a good hedge for Tesla longs. I am somewhat dubious of the climate benefit of electric vehicles. Electric vehicles certainly reduce emissions in the area where they are being used, but the electricity has to come from somewhere, often through non-renewable resources. That said, Tesla has driven a fundamental change with car companies around the world to bring electric cars to market. Cobalt 27 has accumulated both physical cobalt as well as streams and royalties on a number of cobalt mines, with cobalt being a by-product in most times. 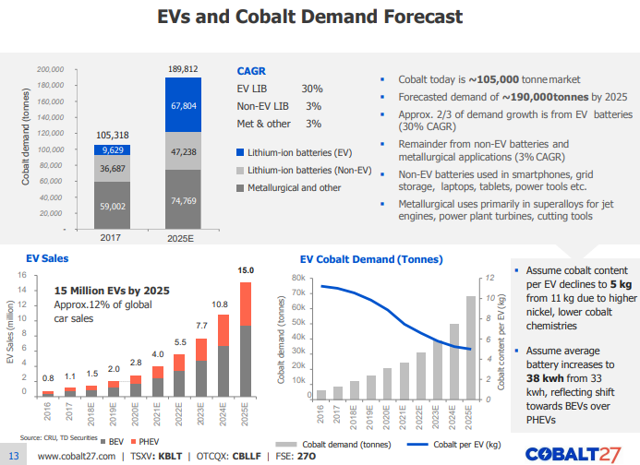 Peter Arendas gives a more thorough review of Cobalt 27's prospects here, and the company was a Top Idea of Itinerant's back in August 2018. I view this as a picks and shovel approach for the EV industry. Despite my skepticism of their overall efficacy, the trend towards electric vehicles is real, whether Tesla makes it or not. I believe all the above investing options can be ways to leverage your views on Tesla, either to magnify a short position in the case of Maxwell or an ARKK/ROM pair trade or to hedge a long position through a long position in Cobalt 27. These options all have other investment impacts to it but, in the short run, are certainly impacted by their relationship to Tesla. Disclosure: I am/we are short MXWL. I wrote this article myself, and it expresses my own opinions. I am not receiving compensation for it (other than from Seeking Alpha). I have no business relationship with any company whose stock is mentioned in this article. Additional disclosure: I am short MXWL through June put options and long CBLLF through the TSX ticker KBLT.